The Fogo LOFT Sofa is a contemporary design with an industrial aesthetic and ergonomic proportions. 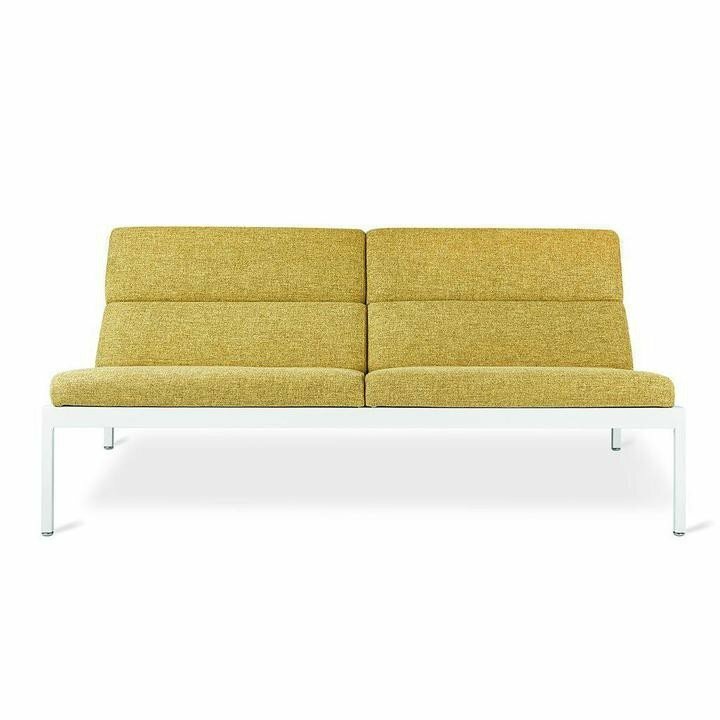 Faceted upholstery panels rest on a precision-welded, powder-coated steel frame to create a handsome sofa that leaves every detail exposed. Fogo was designed to complement a modern home or office environment. Panels use FSC-Certified wood to support responsible forest management. Bench-made, precision-welded, solid steel frame. Frame is finished in durable powder-coat. Fabric/Finish options are as shown in product images. Non-marking leveler feet can be adjusted for stability on uneven floor surfaces. Four cushion panels are attached to the steel frame. Cushions are Dacron®-wrapped to maintain shape and a firm seat. All joints have been stress tested. Manufactured to meet California TB117-213 fire safety standards without the use of flame retardant additives in the upholstery foam. Constructed using FSC®-Certified wood (FSC® 092551). Product colors may vary slightly from those shown on your display.